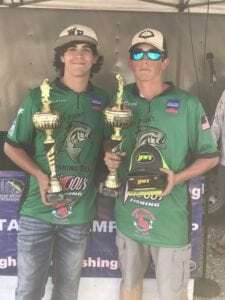 Seth Edwards and Jordan Camp of the West Point High School Fishing Team brought in four bass weighing 10.86 pounds to be crowned 2017 Mississippi High School Fishing State Champions. The pair also took the Lew’s Big Bass Award with a 6.94 pound lunker. There was a great crowd for weigh-in to watch the field of 40 boats bring their fish to the scales. Coming in Second place was Haze Hillhouse and Caden Cresap from Itawamba High School with 8.70 pounds. Third place went to Garrett McWilliams and Addison Yates from Discovery Christian School with 8.46 pounds. 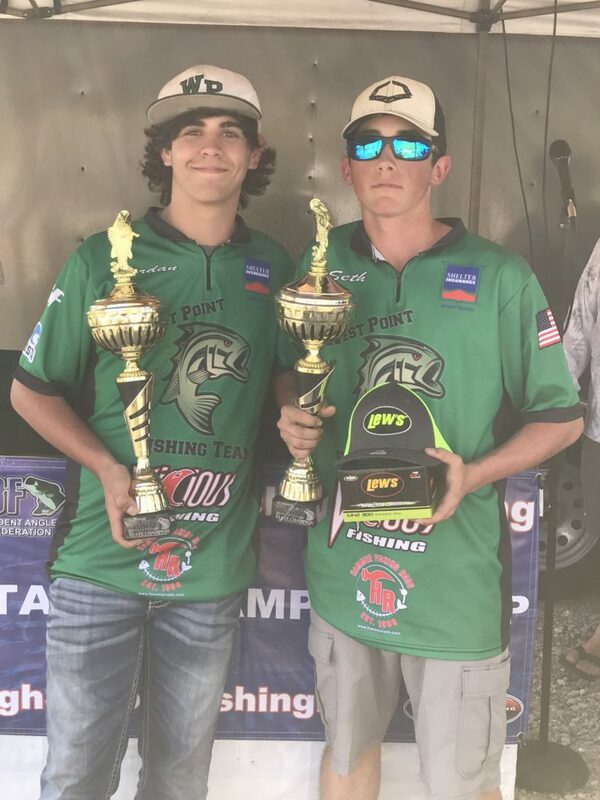 The final qualifying spot went to the fourth place team of Jake Donahoo and Tyler Alvis from the West Point High School Fishing Team with 7.98 pounds. Fifth place went to Palmer Lockhart and Nichols Tyler from Tupelo Golden Wave High School. 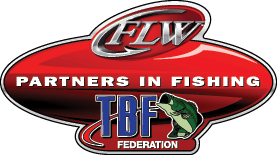 The top four teams will advance to the National Event to be held this summer in conjunction with the High School World Finals in Florence, Alabama. 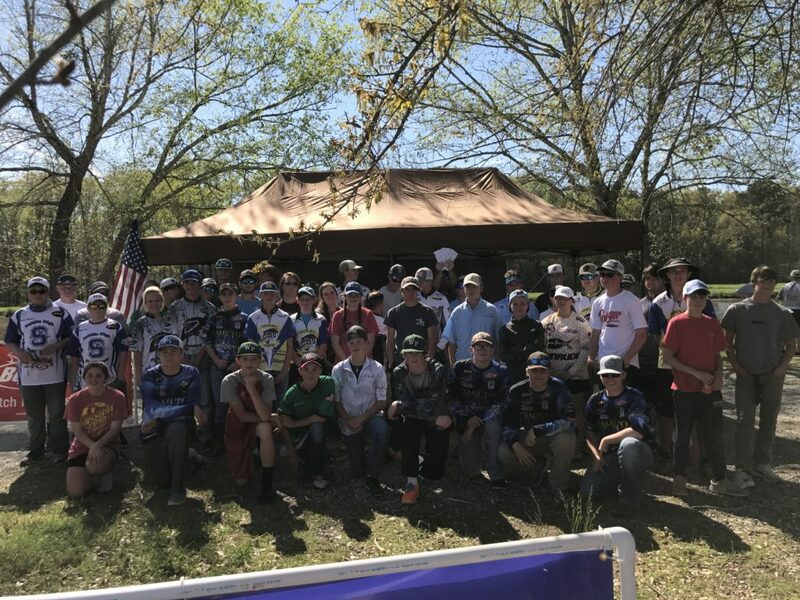 Thank you to the City of Aberdeen for all you do for the MS SAF Fishing Teams. Humminbird Extends RC2 Bluetooth Remote Promotion! Humminbird – Johnson Outdoors Marine Electronics, Inc.
Rosters – Mailed to Terry Arnsdorff 295 Co Rd 4701 Meridian MS 39301 or Edwin Gregory 60063 Seminole Rd Smithville MS 38870 must be received by March 4, 2017. We will have a meeting at the Aberdeen Marina on March 5, 2017, 11:00 am for those whose want to turn in their paperwork – meeting not mandatory. Include roster, insurance sheet, motel listing, ads & money in packages. You may still send as many as you can. Must be in pairs of two. Let us know if you need help with odd number. 2017 MS STATE TEAM (top 6 boaters and top 6 co-anglers plus clubs can send 2 from their club if their club participates in the state tournament) FROM THE MS STATE CHAMPIONSHIP AT ABERDEEN MS WILL REPRESENT MS AT THE DIST 4 NATIONAL SEMI FINALS OCTOBER 12-15, 2017. Cut off begins at midnight March 12, 2017 until midnight March 21, 2017 Aberdeen Lake Only. From Americas Best Value Inn, Head East on E Commerce St (right out of parking lot) toward US-45 (.4 miles), Turn left on to US-45 (1.1 miles), Turn left onto Old MS 25N (3.0 miles) Aberdeen Marina is on the left. Motel: Americas Best Value Inn – Room Rates are $60.00 king and $65.00 double. From Americas Best Value Inn, Head West on East Commerce Street (left out of parking lot) Go 1.2 miles, building on left. Corner of Commerce Street and Matubba Street. Go to Tournaments – 2017 SAF State, Conference & National Championships – Find Mississippi on List – Click Register – Fill in information. THE TOP 10% OF THE 2017 MS HIGH SCHOOL STATE CHAMPIONSHIP WILL ADVANCE TO THE 2017 SOUTH EASTERN CONFERENCE CHAMPIONSHIP.